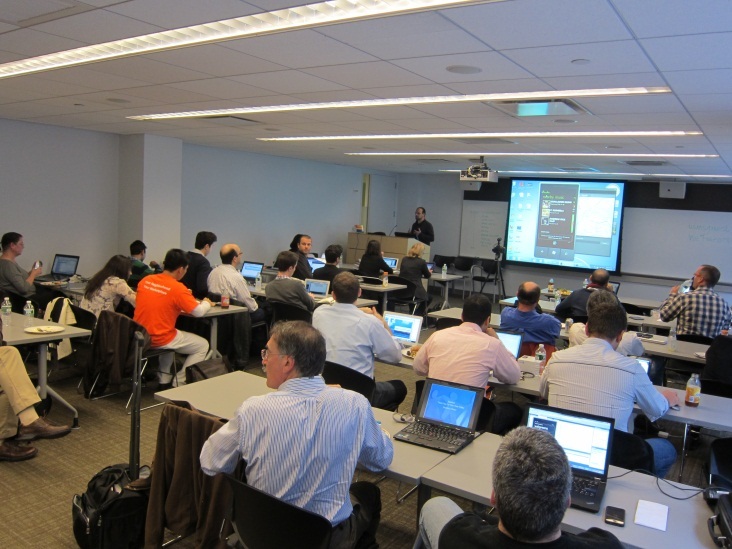 Microsoft’s Emerging Business team hosted Mobile Acceleration Week in San Francisco and New York City Oct 31-Nov 4 and Nov 7-11 at our downtown SF and midtown NYC offices. The events kicked off a 9-city international tour through San Francisco, New York City, Herzeliya, Israel, London, Munich, Helsinki, Moscow, China, and India. The goal of the program is to accelerate development of top applications in conjunction with our Windows Phone 7.5 “Mango” launch. The two invitation-only events featured 25 new companies building on Windows Phone, including applications exclusive to Windows Phone as well as many successful iPhone and Android apps. The companies represented a variety of categories, including social communications, news and sports, enterprise, social music, personalization, shopping, and more. While both events were geared specifically towards startups, companies represented a variety of stages from stealth mode to Series C funded startups. These startups are pushing the boundaries of how mobile is changing the way people live and work, with new technologies to boost productivity, delight, and entertain. 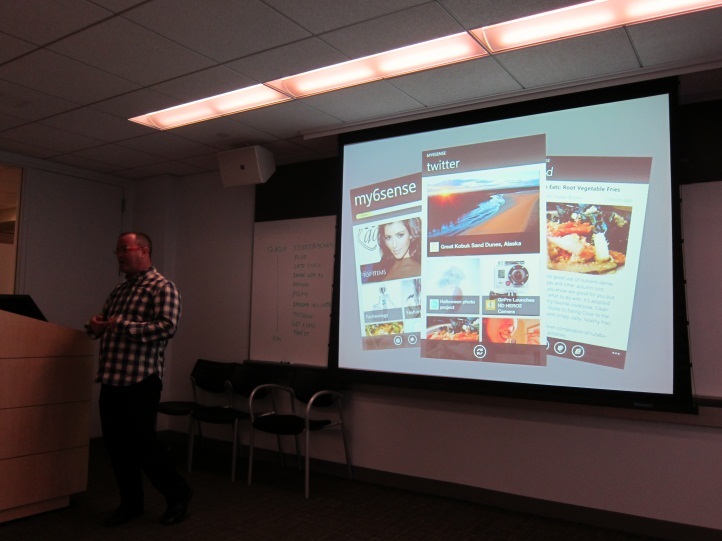 I was particularly impressed with how the startups are taking advantage of the unique capabilities of Windows Phone, including leveraging the Metro UI. 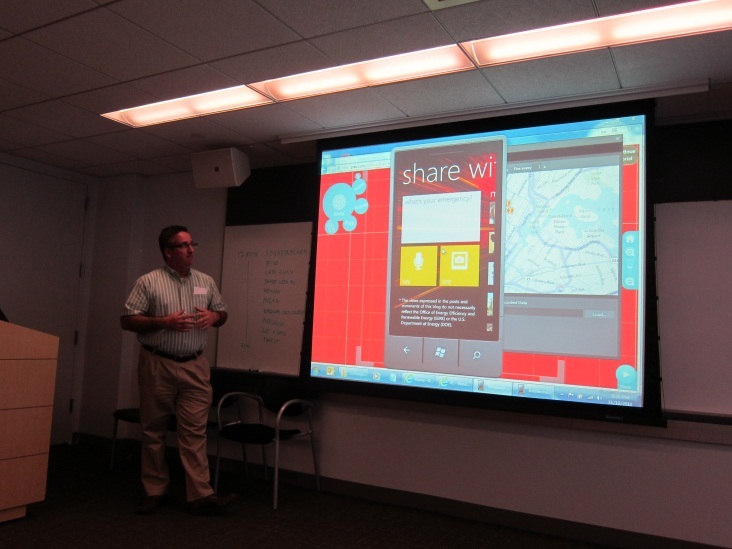 At our demo day on Thursday, the presentations simply rocked, with elegant design and new functionality that will be available on Windows Phone before any other platforms. 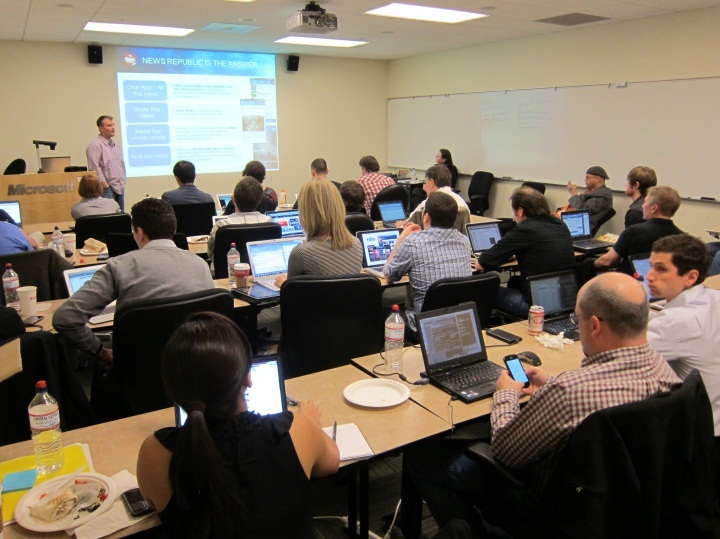 The event was streamed live via Twitter. What Happened During the Week? 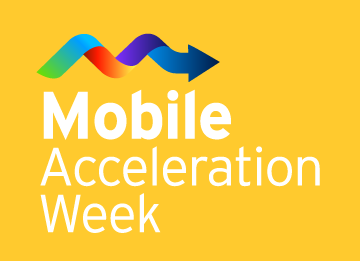 Modeled after our original Mobile Incubation Week and Mobile Acceleration Weeks last year in Mountain View and New York City, the events offered startups on-site technical and business assistance from Microsoft, as well as third-party support from partners iLink and Motivity Labs. 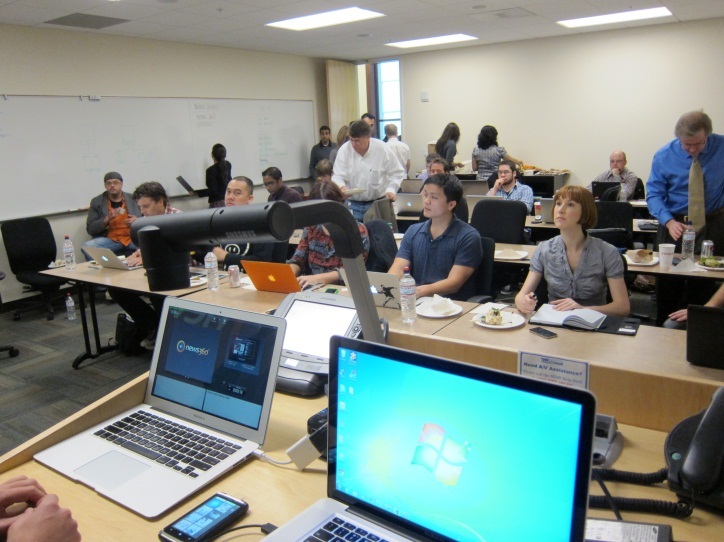 Microsoft Premier Services and Developer Evangelists were onsite during the entire week to troubleshoot and assist in app development. In addition to development workshops, the week featured educational sessions on the WP Application Lifecycle, User Interface and User Experience, Mobile Advertising, Marketplace and Monetization, Media Best Practices, as well 1:1 PR training, UI reviews, and business consulting. All startups will receive featured placement in Marketplace, special concessions from Microsoft Advertising, Windows Phones, and continued tech support and PR coverage through their launch. InTooch offers socially aware people a seamless way to engage digital social connections with the people they meet in real life. The App: In one click, you can send InTooch social connectors and exchange your business or personal contact details and invite someone on your social networks. The receiver can save your contact details, accept your social network invitations and send you back his own contact details. All details can be kept automatically up to date in the other person’s address book. What’s unique is that it works whether or not the other person uses InTooch and with whatever device he or she uses. CitySourced delivers best of breed mobile reporting tools enabling governments to streamline processes and engage their customers. The App: CitySourced is a real time mobile civic engagement platform. CitySourced provides a free, simple, and intuitive platform empowering residents to identify civic issues (public safety, quality of life, & environmental issues, etc.) and report them to city hall for quick resolution; an opportunity for government to use technology to save time and money plus improve accountability to those they govern; and a positive, collaborative platform for real action. A picture tells a thousand words and CitySourced makes it snap. Echoecho is a simple location-based mobile application for finding friends in the real world. The App: Echoecho is the simplest answer to the world’s most-texted question: Where are you? It’s a mobile application for finding friends in the real world. In just two clicks you can find your friends current location, while sharing yours. People are using echoecho to help find a friend whether they’re in the same restaurant, out on a ski slope or even in a different country. You’re in control of what you share, when you share it, and with whom you share it. People are using echoecho to help find a friend whether they’re in the same restaurant, out shopping or even in a different country. The service works anywhere in the world across multiple platforms including Windows Phone, Android, iPhone, Blackberry, and Nokia. WNM Live is a social discovery network that introduces you with people nearby and lets you connect with them anonymously. The App: The WNM Live app for Windows Phone 7 allows you to send text and picture messages with people nearby in real-time, for free. You can chat one-on-one or jump into the Live Stream – a public list of conversations taking place near you that anyone can read or comment on. After downloading the free app and creating your profile, you can start browsing the profiles and photos of people living in your city or across the globe. With over 340,000 users, you are bound to meet someone new living near you! Providing instant breaking in depth news to mobile device. The App: 1000s of stories covering major headlines as well as all the latest Sport, Business, Technology, Celebrity and Entertainment news. All top stories come directly from our partners, selected among leading news agencies, the web and the top global media sources: AFP, Reuters, Associated Press, BNO News, AdFero, Gizmodo. News360 is a next-generation news personalization and aggregation service. The App: Building News360 allows you to create a highly tailored personal news feed. We can use our semantic analysis engine to analyze your Facebook, Twitter, Google Reader and Evernote accounts (with your permission, of course) to understand what your area of interest is, and serve your stories that fit them. You can, of course tailor these settings as much as you want inside News360, or skip the social media analysis altogether and set up your personal feed by hand. Skedi combines your family’s calendars in the cloud so you know everyone’s schedule, anywhere, anytime. The App: The Skedi app keeps the family calendar in the cloud. All the family members and babysitters (with Skedi on their iPhone or iPod touch) can keep track of what’s going on. Moreover, Skedi knows everyone’s actual availability because, in addition to Skedi events, it reads Michael and Jennifer’s work and personal calendars and publishes their busy times to Skedi. However, these non-Skedi events always appear as private to other family members. Clever Sense offers a context-aware personalized recommendation platform that helps people that are on the go to find things that match their tastes, using our machine learning and data mining technologies. The App: Provides curated recommendations in tune with your tastes, location, and situation. Use him to explore hidden gems in your own city and rely on him when you’re travelling to find places you’ll love. 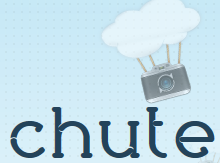 Chute offers a mobile media management platform to power your media applications at the desktop and on the mobile. 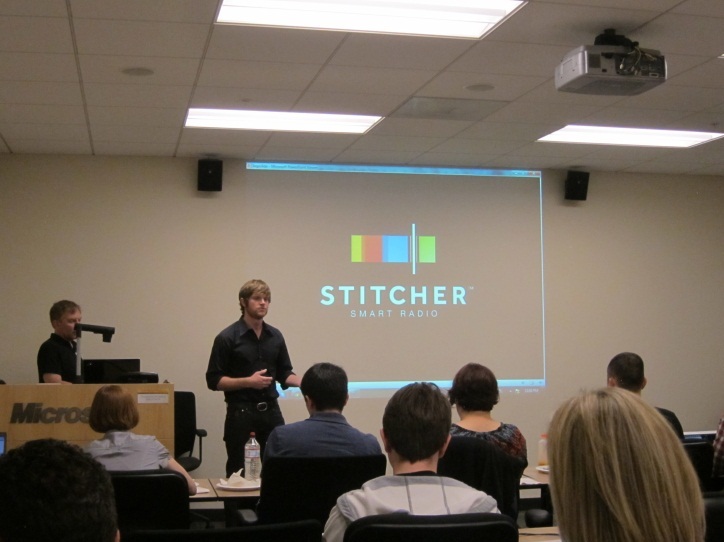 Stitcher is the leader in delivering personalized on demand talk radio content directly to mobile devices. The App: Stitcher lets listeners stream the latest in news, sports, talk, entertainment, and more anytime, anywhere without having to download or synchronize content. Get the latest shows from NPR, CNN, Fox, BBC, Carolla, SModcast, Joe Rogan, Maddow, Rush, Fresh Air, Freakonomics, Radiolab, The Moth and more, all in a single app. It’s the easiest way to stay connected to the content listeners love while on the go. Users can download Stitcher SmartRadio™ at http://www.stitcher.com or in their favorite app stores. 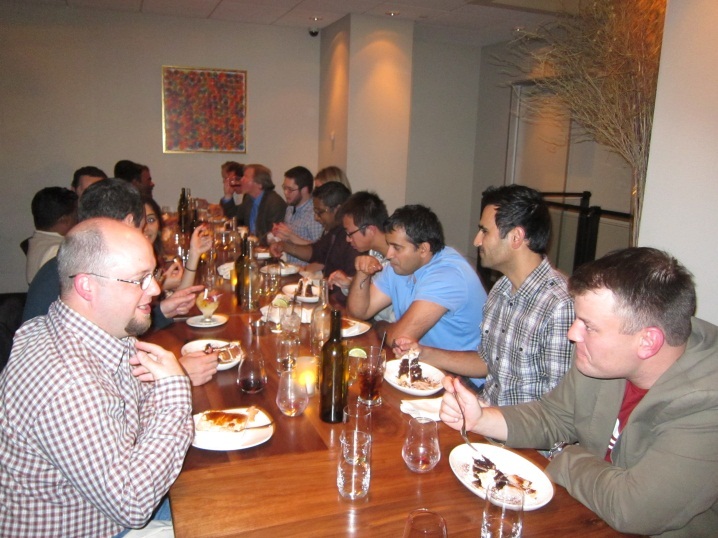 RDIO is the leader in delivering personalized on demand talk radio content directly to mobile devices. The App: We’re making a music service that takes the work out of deciding what to play next — follow friends and people with great taste in music, get inspired by what they’re playing, and listen to their playlists. With Rdio’s mobile apps, music on your computer and mobile phone is finally connected without needing a cable. Collections and playlists are instantly updated and you can sync music and listen, even when you’re offline. Nextag is the ultimate resource for online shoppers, offering a fun, reliable and expansive browsing experience for everything from toys to travel plans. The App: With the Nextag Mobile app you have the price comparison and shopping tools you need in the palm of your hand. Scan barcodes, save favorite products to your wish list, and use our superior search tools to find exactly what you want at a price you’ll love. Soundtracker is a free, online music service that blends Internet radio, social networking and location awareness. The App: Soundtracker makes it easy to discover and play the music your friends and your neighbors are listening to. Use Soundtracker to comment on your friends’ stations, chat, check their latest music, and more. Discover your city’s favorite artists. Access any artist, any genre from the largest music catalog on Internet radio with more than 11M songs for FREE. Create your own radio stations and share them with your friends via Facebook, Twitter and Foursquare and check out over 5M lyrics. Growing leader in mobile content personalization within the field of digital social media. The App: Designed to bring you the best, most relevant and most interesting updates from your e-magazines, social networks, news and blogs, based on your own personal interests, My6sense is a simple-to-use tool that presents all your favorite feeds in a user friendly and graphically enhanced screen. All feeds are organized into pre-defined categories which may be customized to tailor your interests and needs. Share With 911 has a bold plan to change the way people communicate before, during and after emergencies. The App: We are re-inventing how citizens interact with 911, First Responders and each other before, during and after emergencies by enabling them to use their mobile device to share their geo-location along with text, photos, audio, and videos. Flud is a newsreader platform focused on bringing innovation to the news industry by making it easier to read, share and create content. The App: The Flud app allows users to create a community for news discovery. The mobile application is a beautiful platform that allows users to find, consume and share news faster and easier than ever before. User accounts allow people to see what others are reading and tap into what news is trending. Flud is the only place people can discover great content through social relationships and build a personal reputation based on what news they love and share. The App: Inject Aviary’s photo editing functionality right into your own app – all without the fuss of developing it on your own. Our Mobile SDK lets you focus on the core of your app, while we provide the photo editing tools and maintain them for you along the way. This will not only add extra functionality for your users, it’ll bring us one step closer to our mission of powering the world’s creativity. The best part is, it takes just minutes to implement! Bonds.com, a registered broker dealer and SEC registered ATS, provides a centralized market for professional traders, giving access to liquidity and execution in fixed income securities via its BondsPro platform. The App: The Windows Mobile App for bonds.com aims to be a mobile version of the company’s already successful citrix app. The application will include the ability to post bids and offers and view all markets available to its users. With a mobile app, Bonds.com aims to support fixed income traders. Trade bonds and view market without being tied down to a desk. The App: Initially, the application was focused on connecting travelers to airport retail by aggregating the first-ever structured database of airport amenities enabling travelers to locate, rate and review airport businesses. GateGuru has since expanded its feature set to include maps, security wait times, itinerary management, and location-based coupons, making it the most comprehensive airport application available. This is just the beginning, however, as over the coming quarter, GateGuru has two significant product releases that will further transform how travelers have access to information on their day-of travel. A Social Hub empowering consumers to text, chat and tweet across multiple screens while engaging a company’s content, brand + advertisers. Exclaim Mobility, Inc, gives consumers a simple way to Access, Socialize, and Store their content on cloud based application and share through their mobile devices. Company Name: Xpedium is a leading provider of Mobility Solutions to the Consumer Packaged Goods, Field Service, and Transportation and Logistics Industries. The App: A work flow application to help a merchandiser accomplish the directed work require at a retail outlet. This would include Surveys, Tasks, Objectives, Price Check, Shelf Count, Competitor Analysis, etc. For Mango, we will be integrating with Voice and GPS. 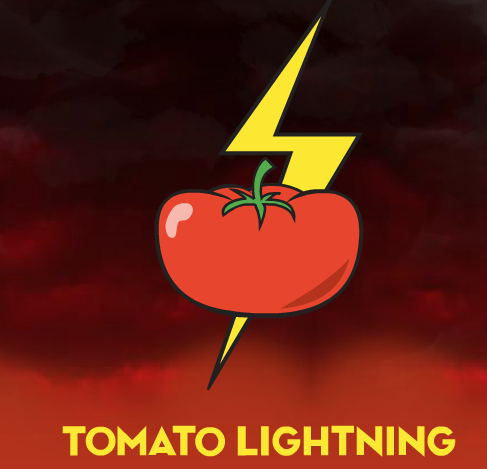 Tomato Lightning creates products that challenge its users both physically and mentally. 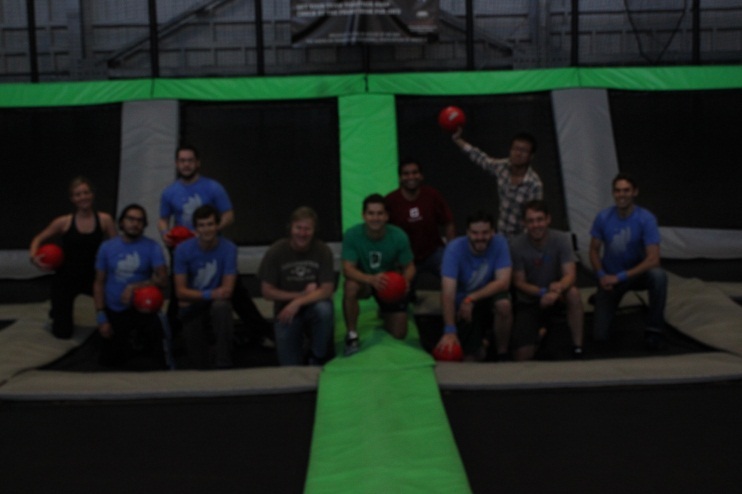 Combining technology with established play patterns to foster an active, healthy lifestyle. The App: Our app provides a whole new shopping experience on the go. Purchase from nearby stores right from your phone. Enjoy fast local delivery or just pick it up. Taap it now!